What drives change in population structure? Dispersal, home range and landscape barriers to the otter Lutra Lutra, across the UK. The Somerset Otter Group (SOG) made its last collection of fresh spraint during the April two day event 2018. This week Nia Thomas, the Cardiff University Phd student, collected the last of the spraints from Rob Williams’ freezer and took them to Cardiff to start on their analysis. A huge effort was put into the project by the SOG. Two main catchments were selected; the Tone and the Brue. Both these catchments were subject to the DNA study conducted by Karen Coxon in 1999. Nia collected 38 samples across both catchments and SOG surveyors contributed another 455; collected between April 2016 and April 2018. A total of 493 spraint samples. 268 were from the River Brue and River Axe and 225 from the Tone which included sampling from the Blackdown hills as a possible dispersal route from the Tone. Through the 3 years at least 60 SOG surveyors contributed their time doing either consecutive surveys and/or the usual 2 day annual survey, to obtain fresh samples. With the mobility and range of the otters a lot of that effort was not always rewarded. But 42 people successfully contributed fresh spraint samples. 17 surveyors from the Brue and 25 from the Tone. This does not count those people assisting and accompanying others during the surveys. So a massive and sustained effort by many. At least 281 sites were checked multiple times over the 3 years, 146 sites on the Brue catchment and 135 sites on the Tone. 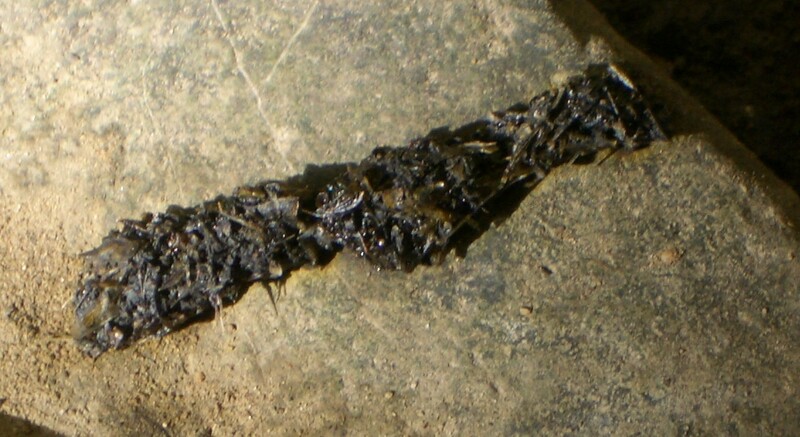 Fresh spraint was collected from 79 sites on the Tone and 94 sites on the Brue, a total of 173 sites. 33 patches on the Tone, 26 on the Brue and Axe and 4 on the Blackdowns. The map below illustrates the coverage achieved by everyone. The darker dots are where multiple samples were obtained through the years. Six sites had double figure samples, 4 sites on the Tone and 2 sites on the Brue.